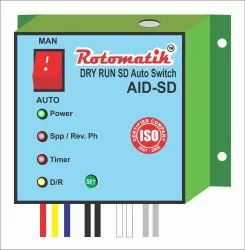 Pioneers in the industry, we offer auto switch for water pump, auto switch dol starter, auto start switch, mini auto switch, three phase auto switch and dry run auto switch from India. We are offering Auto Switch For Water Pump to our client and our product is made of good quality. 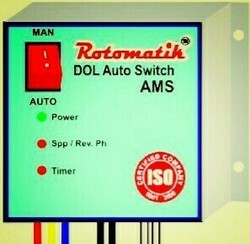 Auto Switch DOL. AM We are an ISO 9001.2008 company, and pleased to introduce ourselves as leading manufacturer of all types of Pump/Motor Protection Relays n starters, control panels, submersible control panels, digital meters ,auto liquid level Controllers, digital panel meters and mobile starters.. Our motor protection relays especially PUMP GUARD, we manufacture are high in quality, calibrated, accurate long lasting with durable hardware, micro controller based molded in virgin ABS/PC/Sheet metal enclosure. 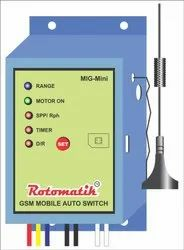 SPP + Auto Switch Type AMS -we provide are voltage sensing type with single phasing & reverse phasing protection. Provided with settable of different on delay timer. This is 100% innovative product with unmatched specifications another brands. 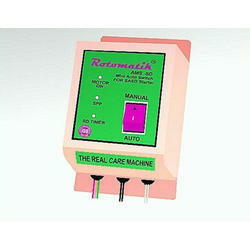 We are major suppliers or OME industries all over India. We are an ISO 9001.2008 company, and pleased to introduce ourselves as leading manufacturer of all types of Pump/Motor Protection Relays n starters, control panels, submersible control panels, digital meters ,auto liquid level Controllers, digital panel meters and mobile starters..
Our motor protection relays especially PUMP GUARD, we manufacture are high in quality, calibrated, accurate long lasting with durable hardware, micro controller based molded in virgin ABS/PC/Sheet metal enclosure. 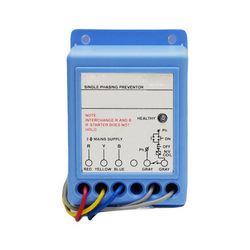 SPP + Auto Switch Type AMS -we provide are voltage sensing type with single phasing & reverse phasing protection. Provided with settable of different on delay timer. This is 100% innovative product with unmatched specifications another brands. We are major suppliers or OME industries all over India. 1. Innovative with microcontroller technology. 2. Shockproof plastic (PC) mini auto box. D) On delay timer –LED blinks/LED off when timer ends. Thanks for your valuable enquiry. Looking for Auto Switch ?